The future of healthcare together is highly driven by developments in information technology. This study provides a ‘sneak preview’ into future products. Who will be your future health supplier..? Froon researched future trends in healthcare and new relations and possibilities with information technology. The result is a sneak preview into future products. For details of the study – contact us. 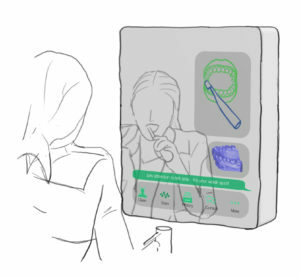 Supported by an intuivite smart mirror, this system takes care of your teeth where you need it. Using new technologies like 3D scanning, glass mirror displays and large scale data collection of it’s users. It intelligently combines data about your personal lifestyle, habits and your wellbeing. 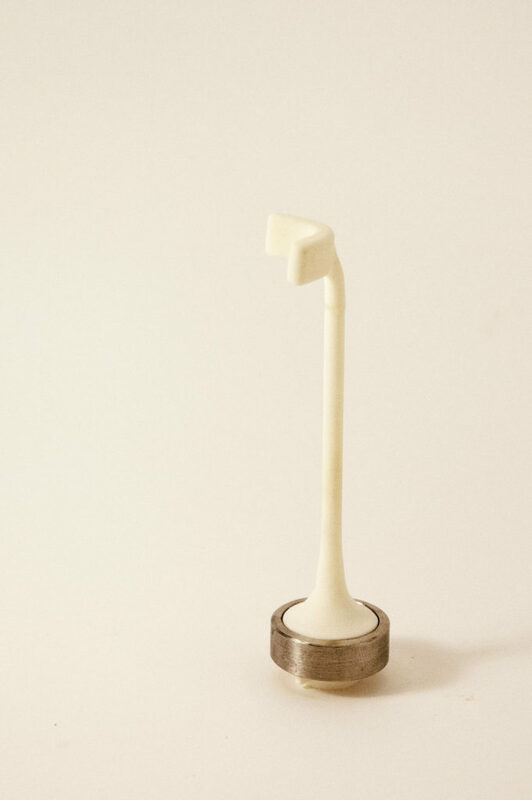 1:1 Model of a data-collecting dental system. 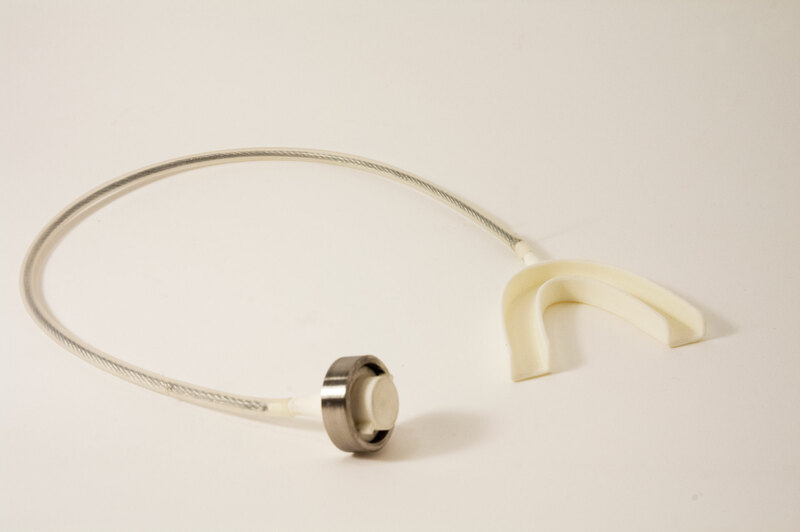 Stainless steel body, interface via the interactive mirror, modular pieces with functions like 3D scanning, ultrasonic cleaning and S-ray scanning. 1:1 Model of the cleaning module. 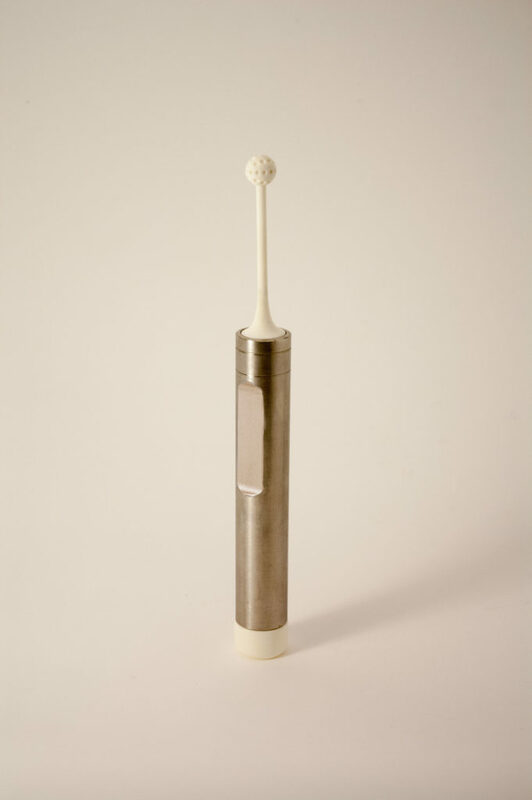 Using ultrasound it cleans the teeth without toothpaste while gathering data about the level of dental plaque.